By installing my Custom Hammer and Trigger Shim Kit, you can eliminate drag created by the hammer and trigger rubbing the frame. Cylinder and Yoke Shims available to address wear. 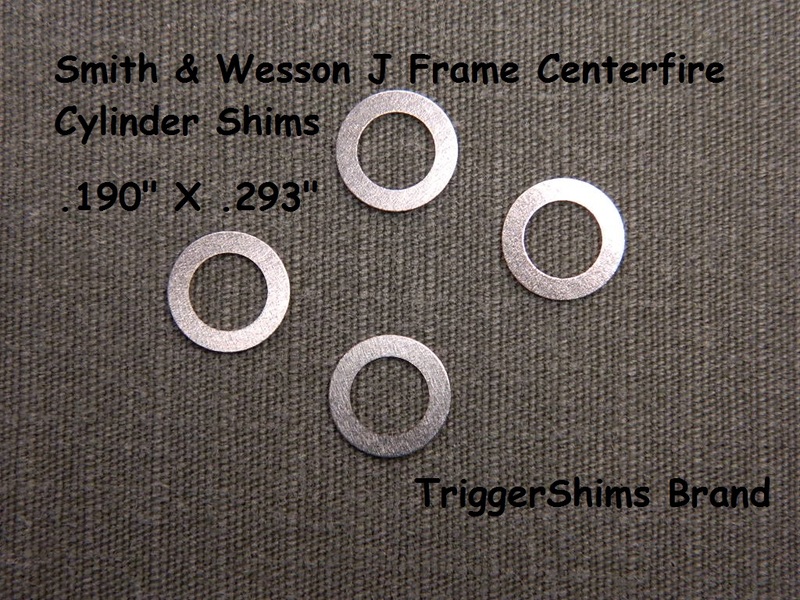 Our Shims are Available in .002" through .009"
My Custom Made Shim Washers for the Smith and Wesson J-Frame revolver will allow you to center the Hammer and Trigger, eliminating drag caused by these parts rubbing the frame. My Shim washers are custom manufactured specifically to fit the J-Frame, and are made with USA 300 Series Stainless Steel. 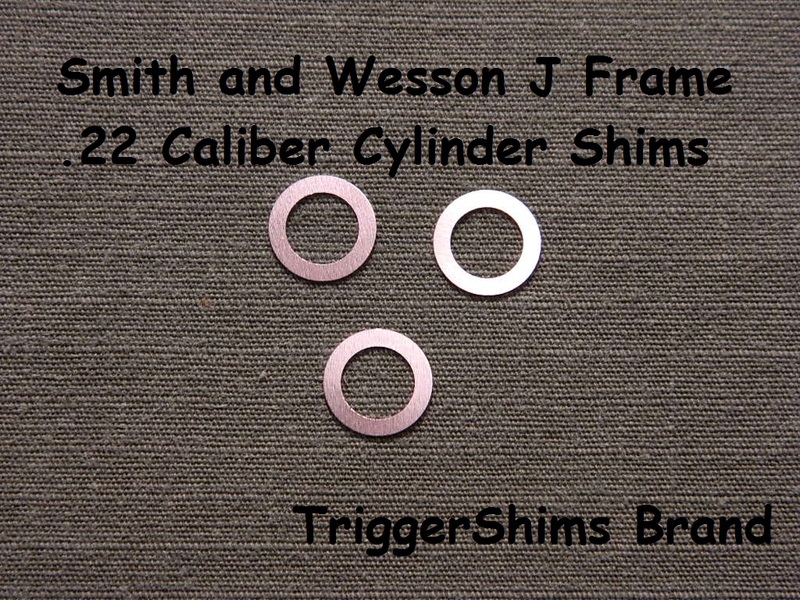 Stainless Steel J-Frame Shims for the Hammer and Trigger Pin. Three Stock Thicknesses, .002", .003", and .005"
12 Piece Kit comes with .002", .003" and .005"
Note: J-Frames generally use very thin shims, .002" or .003"
Cylinder Shims can be stacked to obtain proper clearance. Nominal O.D. of .294" X I.D. of .190"
2 Pak Comes in .002"
4 Pak Assortment comes with 2 each .002" and .003"
6 Pak Assortment comes with 2 each .002", .003" and .004"
12 Pak Assortment comes with 3 each .002", .003", .004" and .005"
24 Pak Assortment comes with 6 each .002", .003", .004" and .005"
30 Pak Gunsmith Special Assortment comes with 6 each .002", .003", .004", .005" and .006"
Nominal O.D. of .357" X I.D. 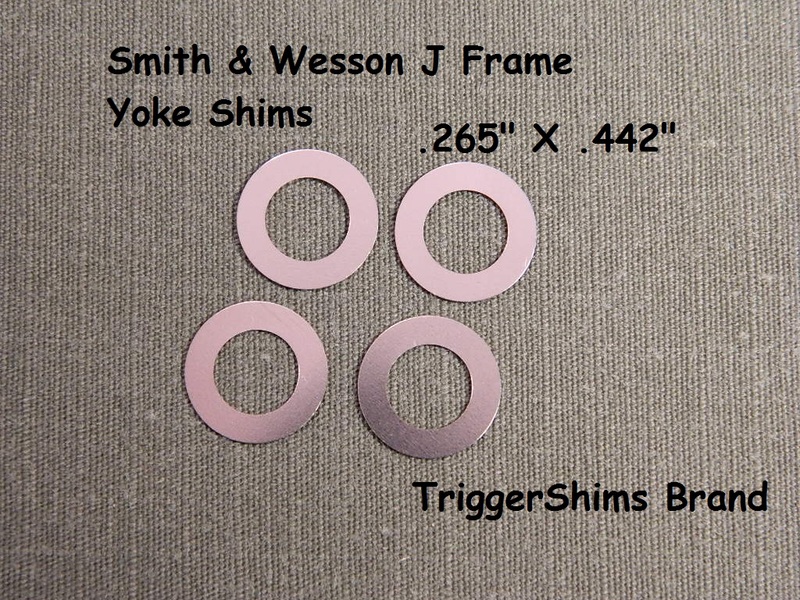 of .242"
Yoke Shims can be stacked to obtain proper clearance. 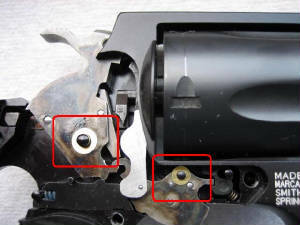 These Shims are installed between the Yoke and Frame. Yoke Bearings are necessary when setting up the Yoke and Cylinder for Minimum Endshake. Fits J Frame Revolvers with .263" Yoke Shaft. Installation Instructions are not included. Nominal O.D. of .442" X I.D. of .265"
Hello Lance, I just wanted to say I am very pleased with this kit I recently purchased from you. 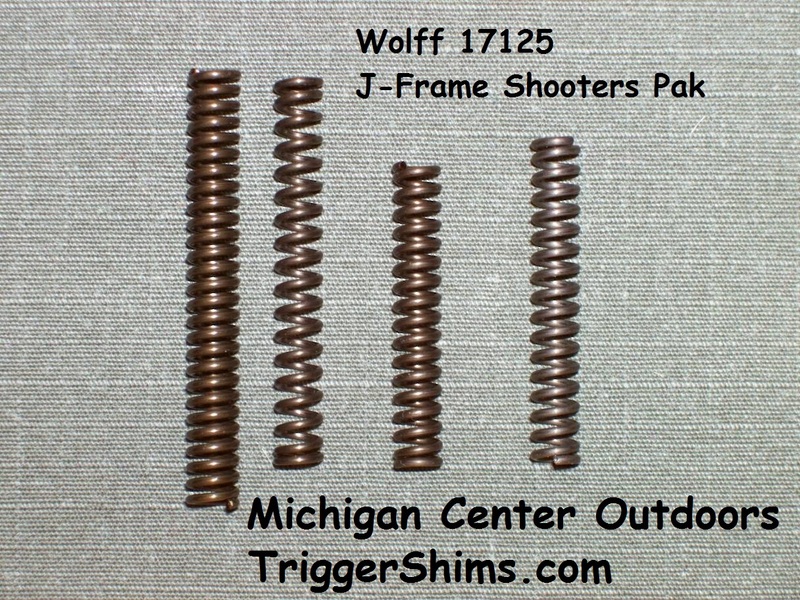 I was able to fix the end-shake issue on my Smith and Wesson model 34-1 (.22 RF J-Frame Kit Gun) I had previously taken this gun to a so-called “gunsmith” who told me my gun was just “worn out” and unrepairable, but by using your end-shake shims it was restored to proper function. Your kit fixed my gun for $10.00, I am an extremely satisfied customer. Spring Tool Information at the Bottom of this Page. I just used a .006” shim on the left side only and it worked out fine. As with the SP101, I am well satisfied and amazed by the improvement. Hi Lance, the Shim Kit is incredible! I can only assume that they are very difficult to make. Sure glad I found them. The trigger on my 31-1 was rubbing on the frame and one .003 shim took care of it. 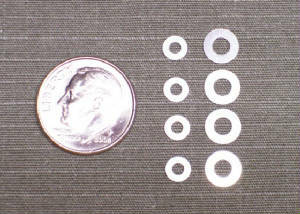 Single Shims are available for custom orders from our inventory. Use comments or e-mail to indicate the size & style you require.